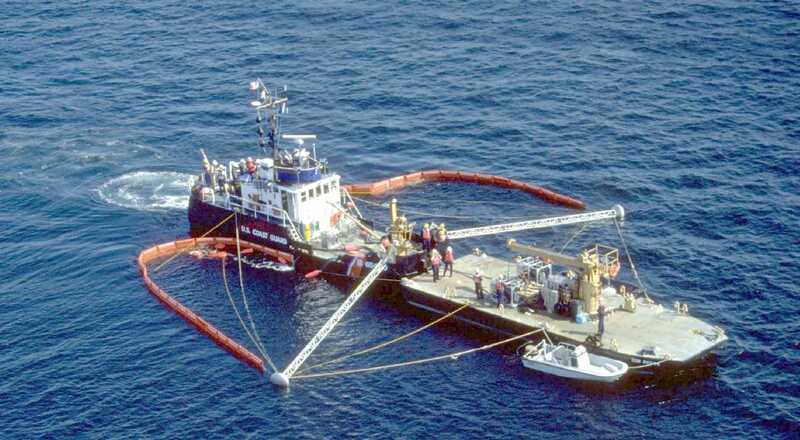 ↑USCGC Bayberry (WLI-65400); "Coast Guard Buoytender Bayberry (WLI-65400) with it's skimming system out to pick up oil off the surface of the water. "; 15 August 1996; photo by PA3 Della Price. 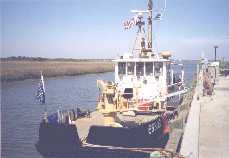 Bayberry and her sister Elderberry (shown above), are 65-foot inland buoy tenders built by Reliable Welding Works of Olympic, WA. Both entered service in 1954. Bayberry has been stationed at San Francisco, CA, Rio Vista, CA, and Seattle, WA. They are powered by two GM diesel engines and are capable of a top speed of 11.5 knots and have a crew of five. They were initially designed for fresh water operations on the western rivers, and were modified for saltwater operations where they have spent their entire careers.